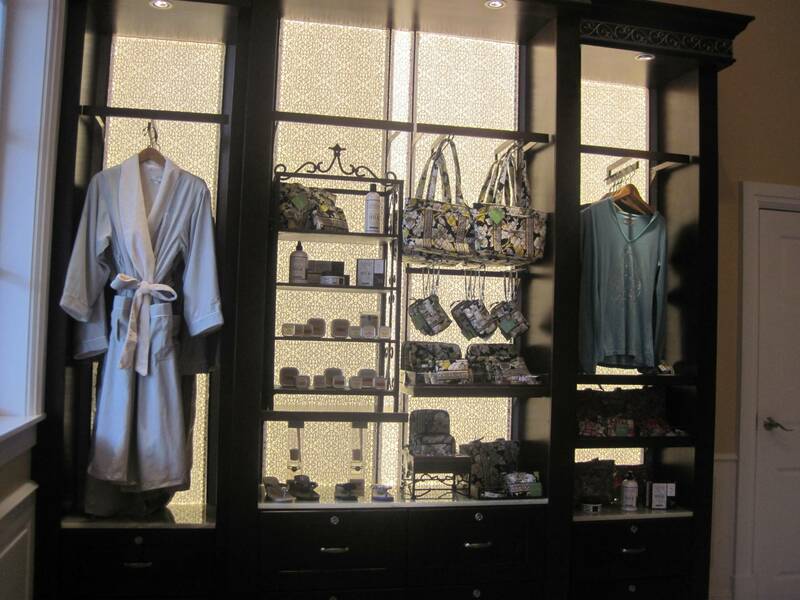 The new Senses Spa at the Grand Floridian opened on December 17, 2012 after going through a refurbishment for most of that year. 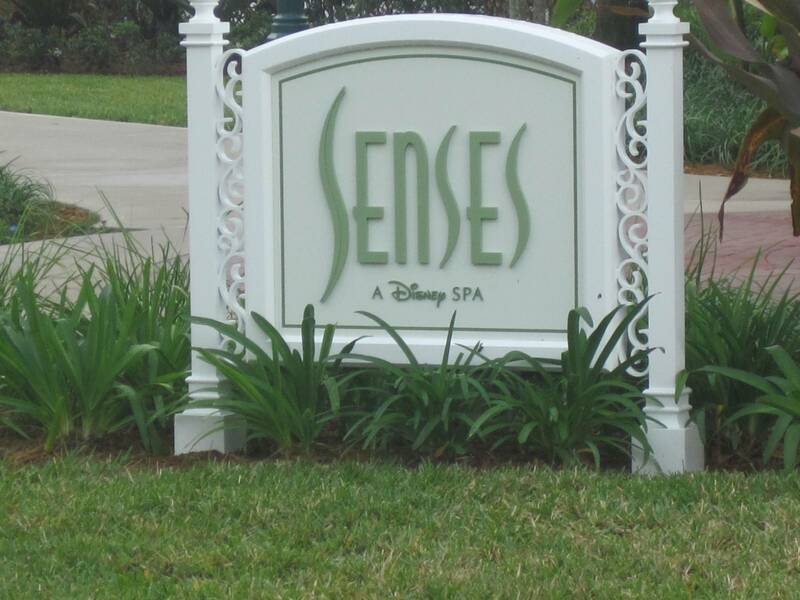 Senses may sound familiar; this is the same name as the spas found on both the Disney Dream and Disney Fantasy ships. The Senses Spa invites you to take a journey of the senses, which they certainly achieve! 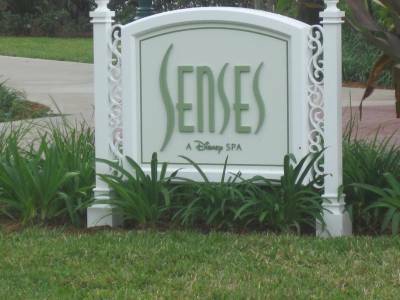 I booked my appointments about five weeks prior to my trip by calling the Senses Spa directly at (407) 824-2332. I had done some research online to learn about the types of services offered and prices, so that I would have an idea of what to book. I found that booking the Express Package was a good fit. My day at the spa consisted of three "express" services: A Swedish massage, a facial and a manicure. Booking was easy; a friendly spa representative asked what services I was interested in and for what date, then we narrowed down a time (Senses is open 8:00 am – 8:00 pm daily). I wanted to have enough time to travel from my resort to the Grand Floridian so I chose a 10:00 am start time for my first appointment. 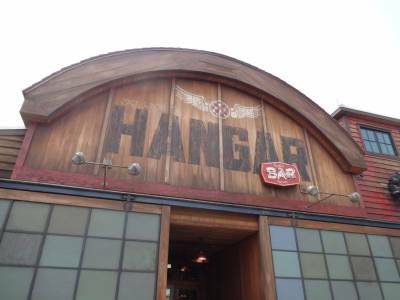 The cast member asked if I was staying on property and I confirmed, she advised me of their cancellation policy. I received a confirmation e-mail within minutes of my phone call and I was all set. A few days prior to my appointment I received a follow up e-mail to confirm my appointment, including a reply button to confirm. I acknowledged that I was still good for my service date and time, and was ready to go. 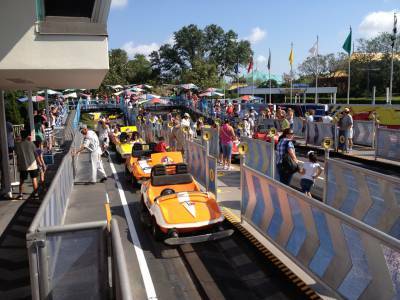 The day of my experience at Senses, I took a bus from my resort, Port Orleans Riverside, to the Magic Kingdom. These buses drop you off right near the main entrance. I worked my way through the groups coming into the Magic Kingdom for the day and then had a choice of taking a resort boat or the monorail to the Grand Floridian. I chose the boat because for me it seemed an appropriate, relaxing way to arrive. I arrived approximately one hour prior to my appointment time and spent some time exploring the Grand Floridian lobby and grounds. I then took the path from the front entrance, following the monorail past some construction walls for the new DVC villas, and arrived at Senses, which is near the Wedding Pavilion. As instructed, I arrived about 30 minutes prior to my appointment, checked in, and within minutes a spa host took me back to the ladies lounge. The front lobby is beautiful, with a wonderful mural on the back wall and a small retail area with lotions and other spa related items for sale. The color scheme is relaxing pale greens. We made our first stop at a beverage station, where I was given a small, strawberry-flavored drink as part of my "Journey. There were three flavors, I didn’t get a choice, but what I received was about two ounces and had the taste and consistency of a smoothie. It was delicious! My host then showed me the lounge area, locker room, showers, restrooms, and whirlpool and sauna area. She brought me to a locker, showed me how to use the security codes, and supplied spa sandals and a wonderful warm robe. I changed and went to the lounge. In the lounge there is another refreshment area, and this one is self-service. You can enjoy a hot cup of tea, cucumber water, fresh fruit, and cupcakes! The new Senses Spa serves a daily variety of ‘healthy’ miniature cupcakes. I enjoyed a chocolate banana cupcake and some orange tea, and had some time to relax. Reading material is provided and you hve a choice of sitting in the whirlpool room with heated poolside tile loungers, in the whirlpool, sauna, or in the lounge itself on a relaxing couch or a La-Z-Boy-type chair. I settled in, starting my journey. The Spa host returned and offered everyone who was waiting a warm neck wrap, which I joyfully accepted. My first appointment came and I enjoyed a 25-minute Swedish massage. The treatment rooms are warm and relaxing. There are several lighting themes you can choose from, which feature various colored lights. My therapist was wonderful and though my massage was short, it was very relaxing. Once done with the massage, my therapist provided me with a glass of water and another treat, a mango-flavored gel candy. My robe was returned to me, and it was cozy-warm after being draped on a heated towel rack during my treatment. I went back to the lounge, enjoyed another cup of tea, relaxed on one of the tile loungers, and then was called for my second treatment, a facial. This treatment was equally relaxing, with a warm bed and the same lighting. Hot towels are a joy for most facials and I also was treated to a neck massage. Another warmed robe was there to finish out my service, and another glass of water and candy treat awaited me when I was done. Once again, I returned to the lounge and awaited my third appointment, a manicure. The manicure and pedicure room is more public, with several patrons receiving treatments at the same time. 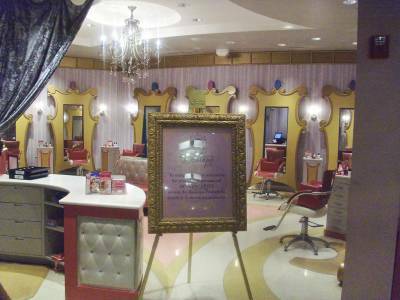 There is even a special kids chair for pedicures, shaped like the Mad Hatter’s hat from Alice in Wonderland. My manicure was equally wonderful, and to my surprise, I was sent home with the nail file, cuticle stick, and polish that I chose. What a treat! My manicurist made sure that my nails were dry and I once again returned to the lounge. I was encouraged to spend as much time in the lounge as I wanted. I would have never left, but I knew I had other activities planned for the day, with my husband. I did spend about 30 minutes in the whirlpool lounge and regular lounge before changing and going to check out. 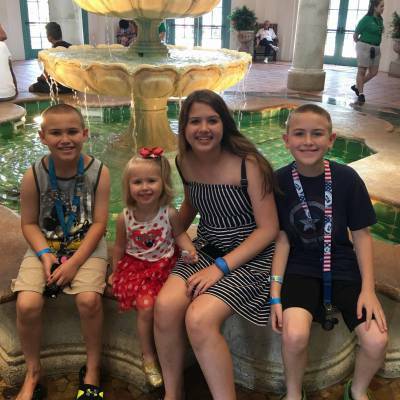 Here are a few tips for enjoying the Senses Spa at the Grand Floridian: Be sure to make an appointment ahead of time, print your confirmation, nd bring it with you, just in case. If it’s important to you, request the gender of your massage therapist. Though not guaranteed, Disney will try to honor your requests. There is a cancellation fee if you do not cancel within four hours of your appointment, and I was told that this would be charged to my resort room. The gratuity policy is an automatic 20% of your total service package, and you will be asked to confirm this with your signature when you sign in. You may add additional gratuities if you wish. The men’s and women’s lounges are separate, however there are spaces for couples massages. Spa guests are welcome to use the spa showers after treatments. Towels, hair products, soap, shampoo, and hairdryers are all provided. Do arrive early and plan to stay after your appointments in the relaxation lounges; these were almost as good as the treatments themselves. The spa staff did ask patrons to stay covered in the whirlpool, so if you would like to dip in more than your feet, I suggest bringing a bathing suit. I also did receive thank you e-mails with the names of my therapists after which was a nice touch.